The news that Atom Araullo resigned as ABS-CBN News reporter shocked his fans and has caused confusion among many. Here's the truth. There have been reports over the weekend that Atom quit his job after expressing his opinion on present issues including the burial of former President Ferdinand Marcos at the Libingan Ng Mga Bayani and certain policies of the Duterte administration. So as not to be called bias, which will definitely affect the integrity of the news department, he opted to resign. "Atom Araullo had filed his resignation from his reportorial duties but will remain an on camera talent of ABS-CBN News and Current Affairs as an anchor in Umagang Kay Ganda and Red Alert. He said he arrived at this decision to be able to pursue other endeavors that would also help him grow as a journalist and as a host. He is aware that the news organization has included him in its future plans and will continue to assign him stories, coverage and events, befitting his position as a journalist." Now it's clear that Atom will remain a Kapamilya contrary to rumors that he is transferring to ABS-CBN's rival, GMA-7. 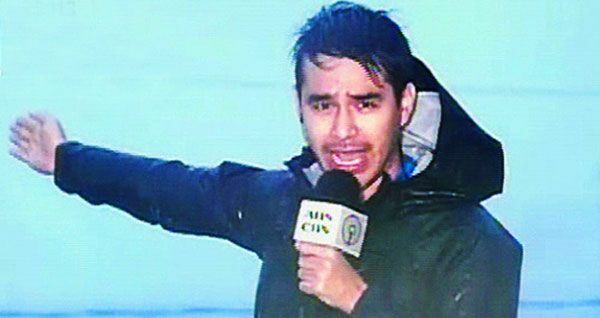 Atom, who started as a segment producer for the Kapamilya network and then became a field reporter a few years later, earned praises online when he braved the rain and strong wind while reporting the weather condition in Tacloban before the city was devastated by Super Typhoon Yolanda (Haiyan) on November 8, 2013.